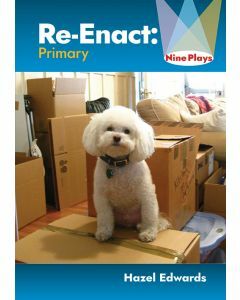 This collection of nine, easy-to-read scripts enables students to read, act and have fun . They can also research, group problem-solve and discuss big and small issues. Goodbye and Hello: Big changes on moving day. And the family pet has to go. My Friend: Having an imaginary friend. Figure It Out: Number shapes everywhere. Spoilsport (Monologue): Sportsmanship on another planet. Granny Smith's Apples: Early orchardist who had an apple named after her.Luck or preparation meeting opportunity? The Ned Kelly Myth on Trial: What makes a hero? Nelly Kelly's status is argued in the 'Court of (Super) Heroes'.Strong arguments are presented for both sides. The Right Writer: Who will sit in the Greatest Writer Chair? The graffiti artist? Novelist? Baby? Untimately the student actors finish the play with their own chocie fo writer. Versions of the play will vary according to chosen writers. The History T.V. Game Show: Each contestant suggests a person who has contributed to our history.Those who convince us that their person has given the most, win. Audience is encouraged via Who?','What? ', 'Why? ' and 'How?' question card-holders. The Guyra Census Taker's Impossible Task: Fact or opinion? Is everything true on the news or online? Ghosts? UFOs? Extracts from newspapers, references and suggestions for cast, settings and props are provided, as well as opening dialogue for the script. Often multiple, contradictory versions of an event exist. 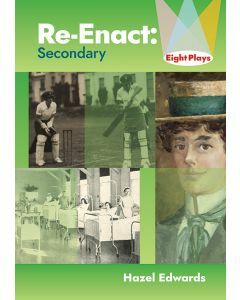 For slightly older or more experienced students 'Re-Enact Secondary: Eight Plays' is a good resource.